We took 2 10 day + cruises in a year a little while ago. We wouldn’t take a second or third if we hadn’t loved the experience of cruising and found it extremely affordable. We were budget travellers for that year, yet we managed to find 2 cheap cruises within our budget. Our repositioning cruises worked out at about the same cost as flying across the Atlantic between Europe and the US. You have been asking me about finding cheap cruises, where to look, how we do it. 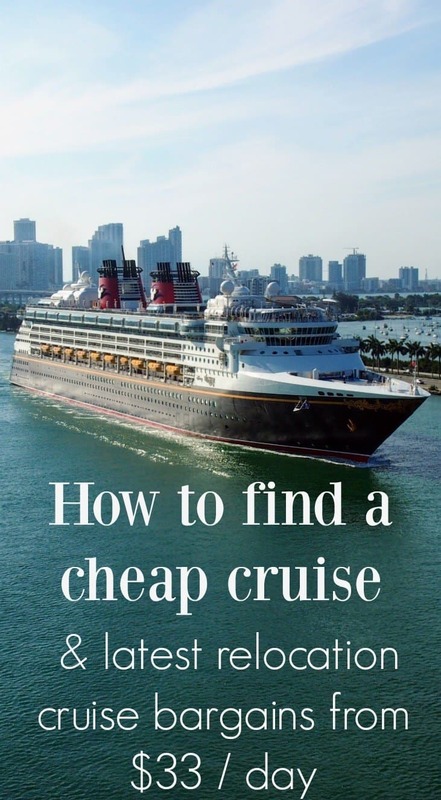 By popular demand here is everything I know on finding cheap cruises with particular reference to repositioning cruises and our favourite cruise line, Norwegian ( NCL). 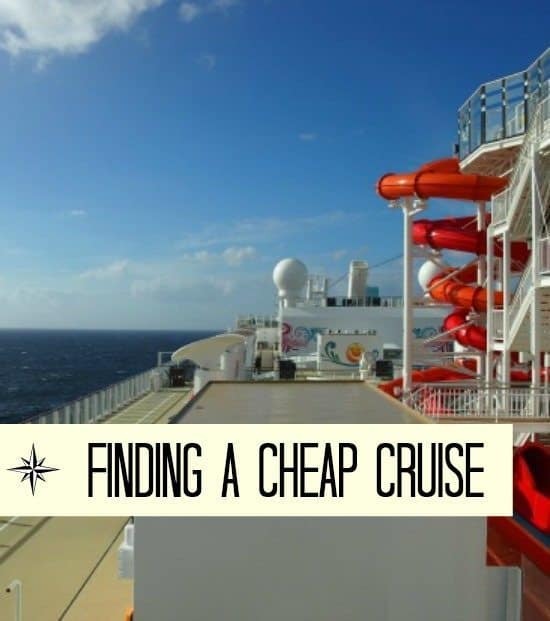 Finding cheap cruises isn’t so hard, this is how we found a cruise for under $30/day. Pin this to Pinterest to bookmark it. You can use our index to jump to the cruise information you need. What do you think about cruising? If you think it’s just for rich, old people who enjoy dinner dances, you’d be wrong, these days there is a ship for everyone with diverse facilities and varied levels of formality. The most important aspect of finding a cruise isn’t finding a cheap cruise, its finding the right ship and the right route. Not all cruise lines are the same. We had great experiences with Norwegian on Atlantic crossing cruises because of their brilliant facilities for kids and families. Their relaxed dining ( you don’t have to sit at a table, at a particular time, with complete strangers) was perfect for us. We ate whenever and wherever we chose and wore jeans every day while enjoying adventurous ship-board activities. We have also tried multi-stop cruises with another cruise line, we don’t recommend these as a way of seeing the world and didn’t enjoy the experience. Despite their fancy dining and formal dinners, the food was quite honestly disgusting, not a patch on Norwegian. 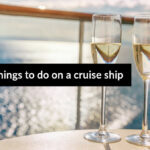 We were prepared to take any cruise, with any cruise line for almost any date. If you can stay that flexible you will be able to find a bargain. You can’t book months in advance unless you get really lucky, you need to watch the prices carefully, they fluctuate with demand. We booked our second cruise at just over $329 each, under $30 per night. The next week the price dropped again, our family of four would have saved another $100 by waiting that little bit longer. Still, we’re happy, we got a great deal! We have been using Relocation or Repositioning cruises. More on those later. Yes it’s an inside cabin, but on a good ship you’ll hardly spend any time in it s is it worth paying the extra for a sea view? Sometimes special offers make it worth paying a tiny bit extra. We’ve done it both ways. The deal we eventually took on our first cruise was a kids cruise for free offer. On our second we qualified for a cheap cabin upgrade and for an extra $4/night we had an outside family cabin with its own balcony. On our last cruise we took an interior cabin, we found it absolutely great, no complaints at all. Look out too for extra on-board credits. Most cruises offer on-board credits, essentially a lump sum to offset against your spending on the ship. You WILL spend money on board, those credits come in very handy. You will also see discounted prices for returning customers, OAPs, service personnel and many other variables. You need to find the best combination of discounts for your party. We’ve tried interior and balcony and we were perfectly happy with either. There are advantages and disadvantages to both. I wrote a whole post about which cabin to choose here. Signing up for the cruise line’s rewards programme can give you discounts on subsequent cruises and give you on-board privileges It’s always worth signing up for rewards programmes, even if you think you’ll never use that company again, you never know what will happen in the future. On our last cruise we bought vouchers to use against our next cruise. For a $150 investment we landed a $250 voucher to use against any future cruise ( over 6 days duration) with the same cruiseline within the next 4 years. These vouchers are fully transferable, so maybe, if you have friends or family taking a cruise, ask them to buy you a credit voucher. On our cruise compulsory tipping cost us $12/person/day. That’s a lot, particularly when you consider that an extra gratuity will still be added on to any drinks or food you buy on board. On some cruise lines you can opt out of compulsory tipping and reward good service where you see fit instead. If you really wanted to, you could not spend a dime. All food, some juices and sodas, tea and coffee plus, kids club, some entertainment and use of sports facilities are included in the price, but chances are, you’ll want a little more luxury. We spent a lot of time using the pools and sports facilities, and yes, even in January in the middle of the Atlantic, all facilities were operational. Check before you book which facilities are included, this can vary. 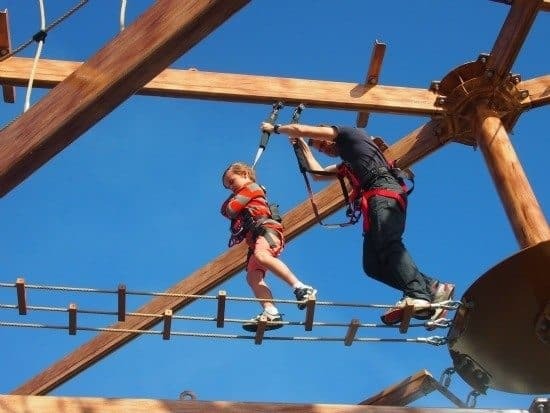 On the good ships ( this is Norwegian) superb recreational facilities like this ultra-challenging ropes course, are completely free. No alcoholic drinks were included on our cruise but prices were OK, certainly by Australian standards. $7-8 for a cocktail, similar prices for wine, including gratuity. $15 bought us a margherita tasting session, not bad value and lots of fun. Some restaurants are free, some you pay for. We didn’t use any of the pay-to-dine restaurants, they didn’t interest us. There was plenty of choice in the buffet restaurant, all day, every day, and the quality was decent. We also had complimentary use of up to 3 seated restaurants, some of which had dinner shows. Most entertainment is free, we paid for one dinner show, it was quite expensive for 4 of us, around $100, but we really wanted to see it, so we wore it. It’s your choice. Nobody is going to pay for you to play blackjack! You pay for the spa, again, it’s not something that interests us. We washed small items in the sink and dried them easily in the cabin air-con. Toward the end of the cruise there was a special offer on laundry, fill a bag for $25. We thought that was a great deal, basically our whole wardrobes washed and dried overnight, ready for the next part of our travels. You pay for internet connection by the hour, it’s not cheap and wi-fi is usually poor. We went cold turkey and took an internet holiday, it was great but these days as a digital nomad, I don’t think I could do it. As our first 2 Norwegian cruises were Atlantic Crossings, we didn’t have to worry about the cost of getting off the ship. This is something you need to research for yourself. A multi-stop cruise could hit you hard in the pocket if you take the ships planned day trips. We’ve taken cruise ship shore excursions with another cruise line, you could take a look at our reports on those here. Repositioning cruises are A to B cruises and not the usual round trip. They happen when a ship is being moved from the shipyards to its new home ( as our first cruise was) and when a ship is changing location at the beginning or end of a season ( as our second one was). Look out for new ships on their maiden voyage, it was wonderful cruising on a brand new, 2/3 empty ship with great service and energy as a new team came together to do the best job possible. Most people don’t have the time to float around on the Atlantic for 11 days, nor the money to pay for a cruise plus a return flight. That makes them perfect for long-term travellers like us. With a repositioning cruise you can offset the price of the ticket against what you would normally pay for bed and board. This way, if you are time rich, cruising becomes a budget option. We swear by Skyscanner for finding cheap flights. 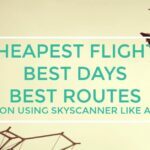 Using this tool you can see flight prices day by day and easily cross reference routes and airlines to see which will work out best. We have a guide to using Skyscanner like a pro here. Save our guide to finding cheap cruises, we will update this page with latest relocation cruise discount fares as we find them. Visit the cruise lines’ own websites, they usually have a special offers and last minute discounts section. Watch these offers, they fluctuate with time. Sign up for Vacation to Go’s newsletters. Once you see an offer, search around to see if you can find better. Sometimes you need to grab the offer straight away, sometimes wait a while. It’s a game of nerves. Also check out Cruise Direct, they give you the latest deals, constantly updated, across all cruise lines. Try using their search widget below. You can read more about our cruising experiences here in What is a Trans Atlantic Cruise Like? and in Cruising is Great for Homeschoolers to give you more reason to find your cheap cruise in 2018. We heavily feature Norwegian Cruise Lines ( NCL) in this post because they have given us, by far, our best cruising experiences. We are not on NCL’s payroll. 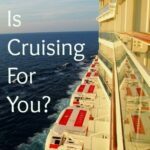 Is Cruising for you? Reasons to Take a Cruise. What a cheap cruise and very beautiful . I just went on a cruise last month. I had a fabulous week but I don’t think I would go again. I am more of a independent kinda gal. 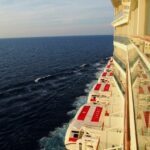 Awesome writing, great insight for rookie or experienced cruisers! Some good ideas here. The one thing I wouldn’t do is focus on the cheapest cruise line (emphasis on line). We found Carnival (for instance) was relatively inexpensive, but I felt the ship was designed to maximize cash by engineering that constantly forced us into the casino. Of course, they all want you in the casino, but there it seemed over-the-top. And I would have paid a bit more for better food. Laundry, repositioning, all that stuff is great. And I love an Internet holiday. I’ve never felt pressured to use the casino Mike, it’s never going to work on me, but we haven’t tried Carnival. Our first 2 cruises were on Norwegian, which is an awesome cruise line, top notch. We’re about to try another line, it will be really interesting to compare, I’d love to try them all! Have a great time Alyson. I’ve heard good things about Norwegian. I’ve been on Celebrity, Princess and Carnival (the latter two are owned by the same company I think, though Carnival is the bargain-end line). I liked Celebrity and Princess better, though I can’t say I ever had a bad time on a cruise! Carnival just seemed to be a party, a seaward extension of one of those Carribean port restaurants like Margaritaville or Señor Frog–some people like that, but it’s not for me (I can get that anywhere). Whatever line you’re on, watered-down drinks are where they make their margin. I stick with water and the freebies. One thing about the ship restaurants–you’ll sometimes notice the st-down restaurant menu items just slightly repackaged for the buffet. The food is not (always) any better for sure. 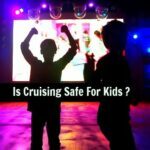 My husband and I have gone on a cruise before but this summer we are taking our 3 kids with us. I’m a little nervous about it, but I’m sure it will be fine. We ended up booking 2 side by side rooms to save money. 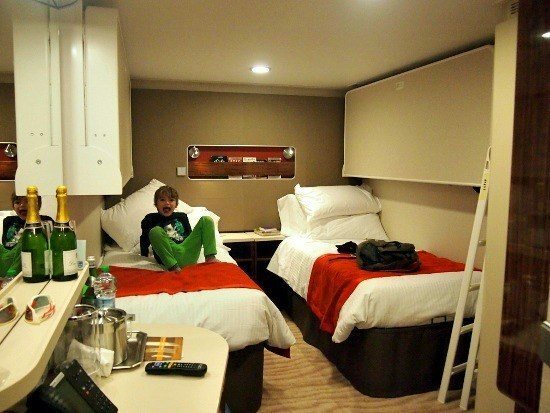 I’m still hoping to be able to get into a family suite if they have any available when I call right before we sail. We’ll see. 🙂 Thanks for your post! Hi Jennifer, I see you’re a fellow Chef’s widow, great! Have fun on your cruise ship. Interesting stuff Alyson. I like the idea to “think of a cruise as a mode of transport with added accommodation.” I might just do so. Thank you! Great information. I’ve been so curious about the whole cruise thing, and repositioning cruises especially because of their value. I prefer boat travel above most other form and it just sounds like a lot of fun. I appreciate you keeping your readers informed about your cruise adventures. Give it a go Carly, I’ll be honest, I thought I’d hate cruising, but once you get into cruise mode we had loads of fun, most of it very silly! We must have enjoyed it to have booked another one. We LOVE cruises. We went for our first one last year and can’t wait to go back and do it all again. I agree about the interior cabin. We did the same thing and it was totally fine. The reality was we didn’t spend that much time in the cabin anyway. Thanks for this…..going to check it out!